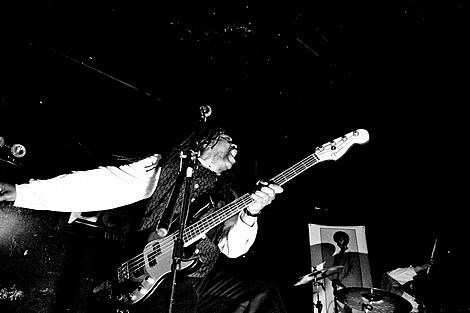 As mentioned on BrooklynVegan, protopunk band Death are alive and well, and will be coming to Austin for SXSW this year. While they’re here, their documentary, A Band Called Death, will be screening at Vimeo Theater on Thursday (3/14) at 7:15 PM and Saturday (3/16) at Alamo Ritz 1 at 11:15 AM. The band will also be playing some shows, including TenOak on Thursday (3/14) at 12:50 AM (so technically Friday), and a BrooklynVegan day party, which happens at the old Emo’s location, 603 Red River St earlier that day (1:30). Rough Francis (aka Death’s sons band) will also be at the BV party, playing right before them at 12:45.